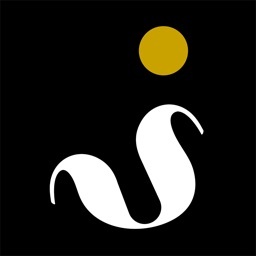 For your salon business, we have an excellent salon manager. 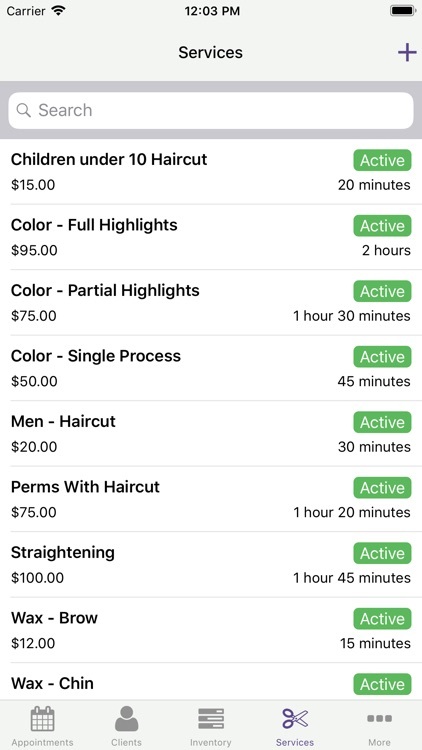 Automate your salon effortlessly and accurately! 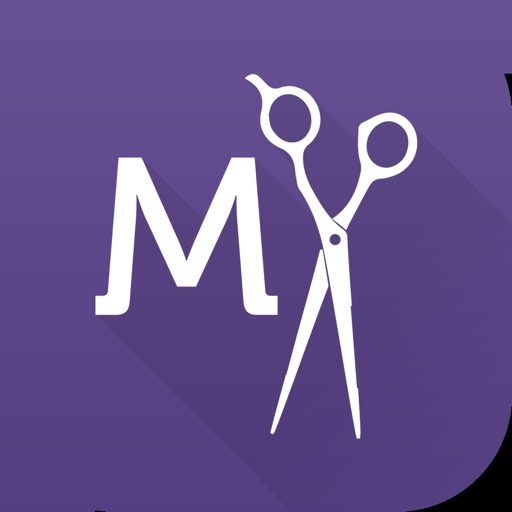 Discover MyCuts, the breakthrough app that will save time booking appointments and tracking inventory so you can focus on your clients! 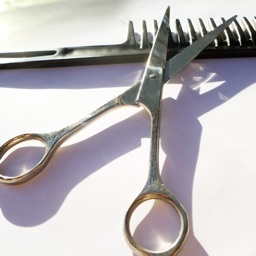 It can be your hair salon software and salon management software that can help you to better manage your business. 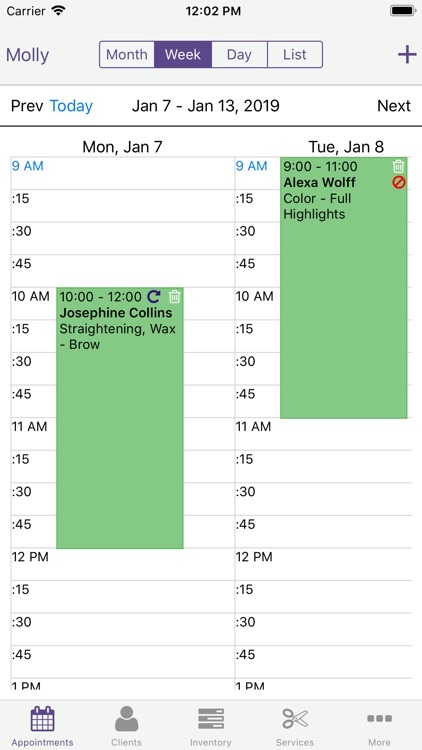 This salon appointment software will give you a set of extraordinary features. * Intuitive salon scheduler. 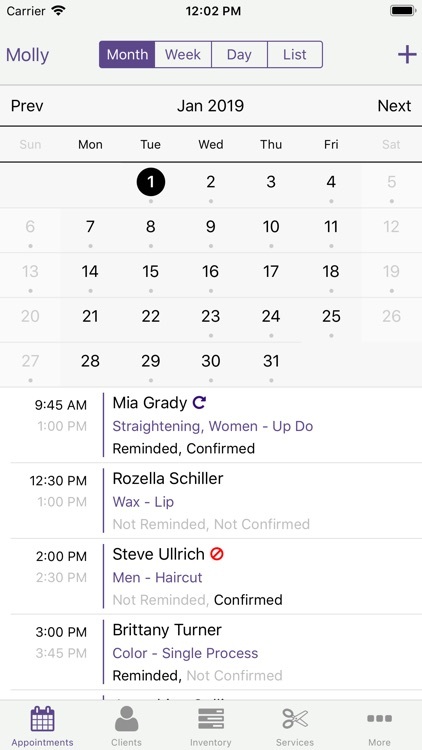 Effortlessly schedule your appointments with our easy and familiar calendar. 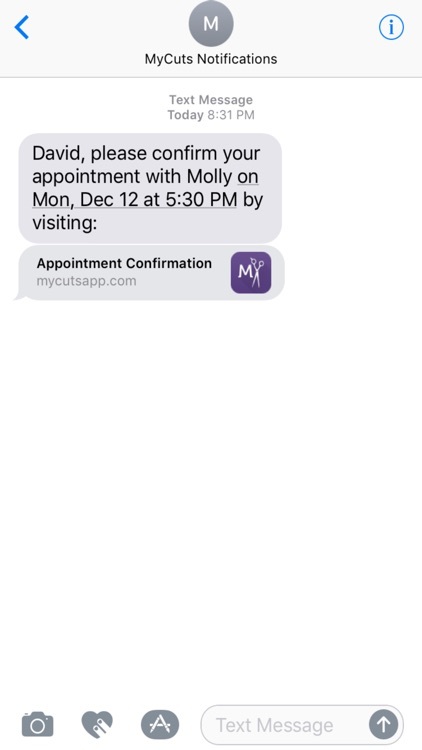 * Stop those money-draining no-shows and let MyCuts automatically send customized email or text appointment confirmations and reminders. 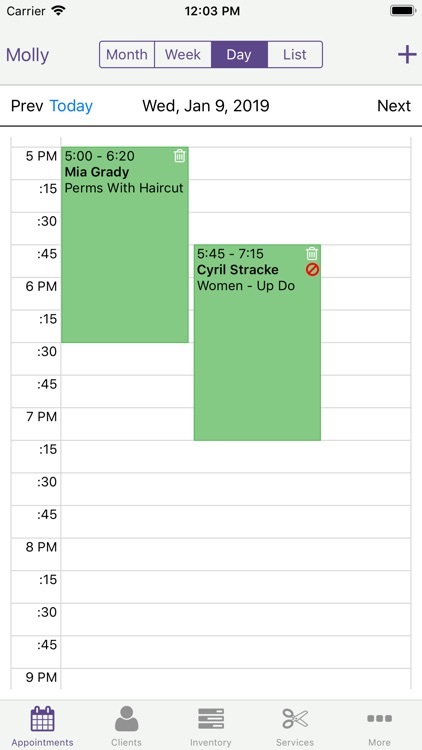 * Quickly view all appointments booked for each client. * Easily rebook an appointment or make it automatically recurring. 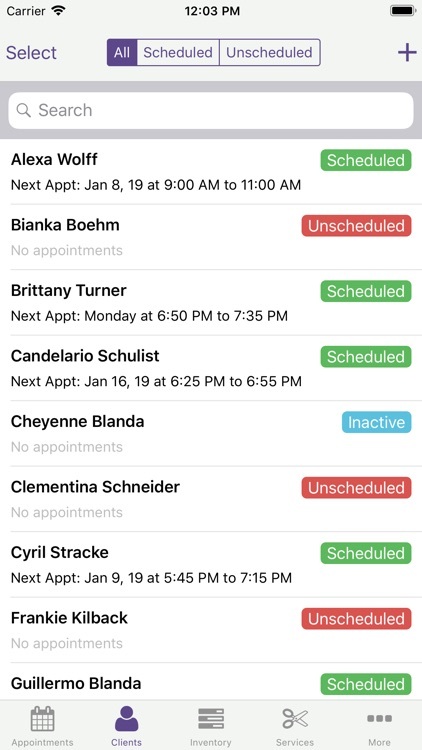 * Add appointment blockers that will help control double-booking. 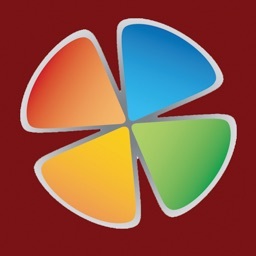 * Search through your clients by client name or phone and filter by scheduled or unscheduled. * Quickly book an appointment if they don't have one scheduled. * Gather detailed information about the client including email, phone, occupation, mailing address and more. 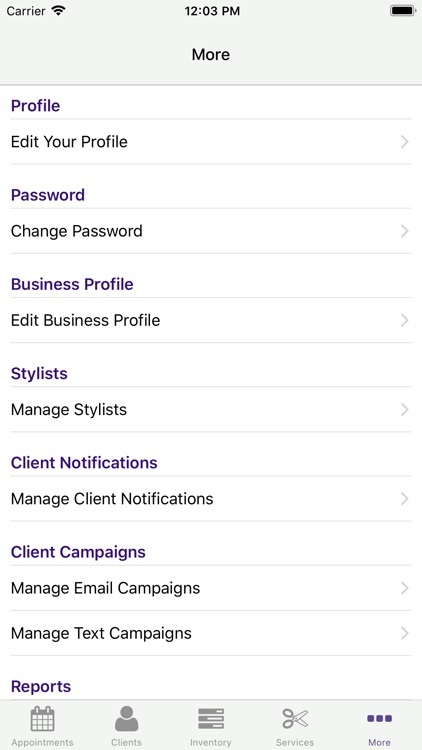 * Send mass texts or emails to your clients. Great for marketing! * Search through your inventory by item name and filter by stocked, low, or reorder. * View your stock level, target stock level and reorder level. 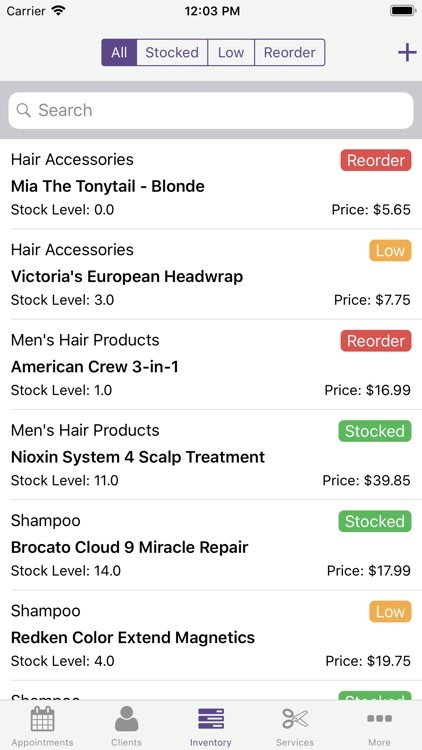 * Easily add or remove stock from your inventory items. * Enter detailed information about the inventory item, including category, supplier, price and more. 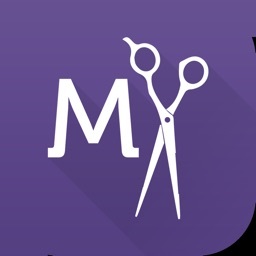 * No trial, no credit card, this salon management software is FREE, forever. Upgrade your account at any time if you feel the need for more features. * Free plan includes: Unlimited appointments, unlimited inventory, unlimited services and unlimited client emails. 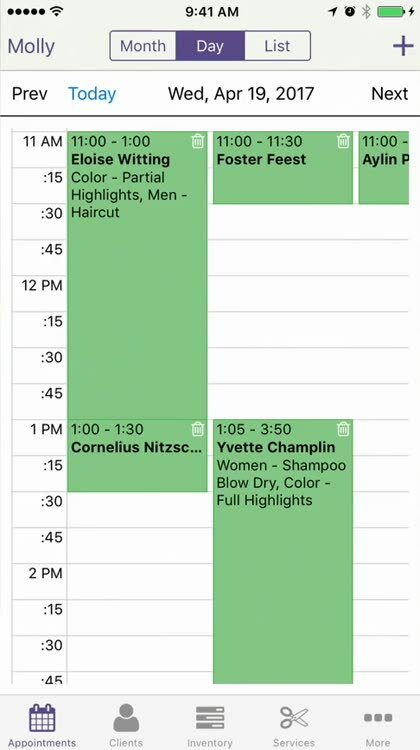 Up to 25 clients and 1 stylist. * Upgraded plan includes: Unlimited clients, unlimited stylists and unlimited client text messaging. 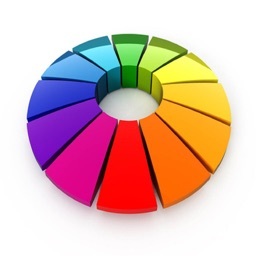 * Stays in sync with a free responsive online website that has similar features. * We back up your data every day so you don't have to. If your device crashes, dies or is stolen, you can be rest assured that your data is still safe on our servers. Your personal and client information is secure with us and only available to you. 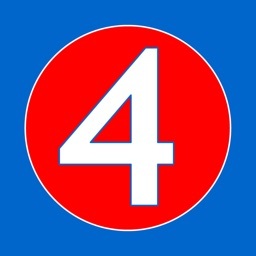 * Our unique inventory tracking system. 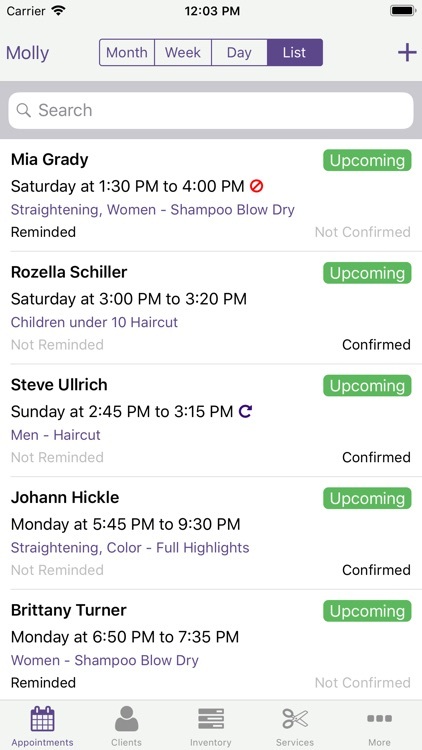 * We're known as the "neat and straightforward" salon booking app.